Elegant black script on white paper is the essence of classic wedding in this Traditional Script wedding invitation suite from Paper Source. 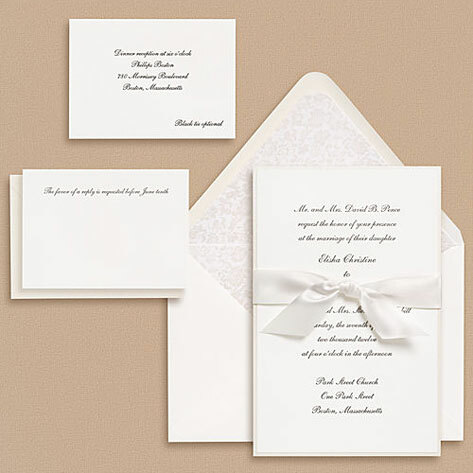 Shimmery envelope liners feature a traditional brocade pattern, which accents the shimmery opal backing and white satin ribbon embellishments. Available flat printed or letterpress printed.